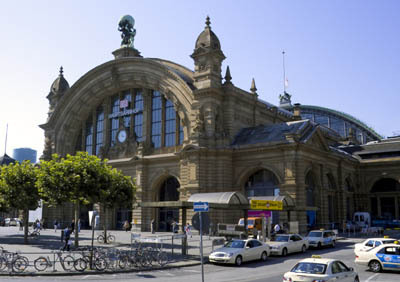 I've been to Frankfurt twice now *yayy* Such a refreshing change, being in a big city. Plus, it's easily accessible too. Only 40 minutes away via train (S8). 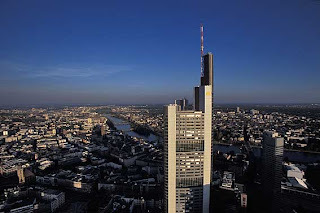 The Main Tower is the 5th tallest building in Germany and the only skyscraper in Frankfurt with a public viewing observatory. 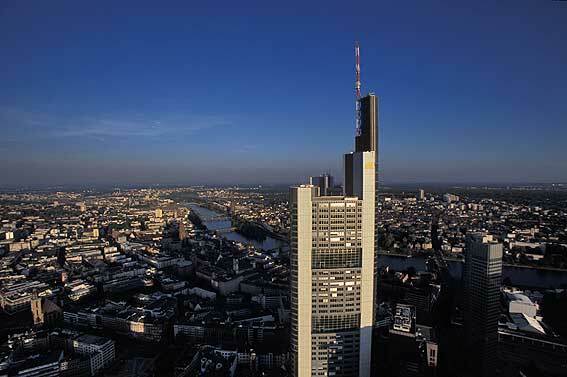 Believe it or not, you'll find more skyscraper in Frankfurt compared to Berlin. When I arrived, apparently the deck was closed *frust* with fire trucks up front, but not for long. They had completed their fire drill then (weird timing) and the deck was open again. It was 3 Euros per entry for students. The deck is on level 58. It was freeezing cold up there but the view was beautiful and definitely worth it. 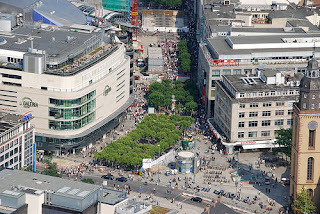 Afterwards I went to the Zeil. 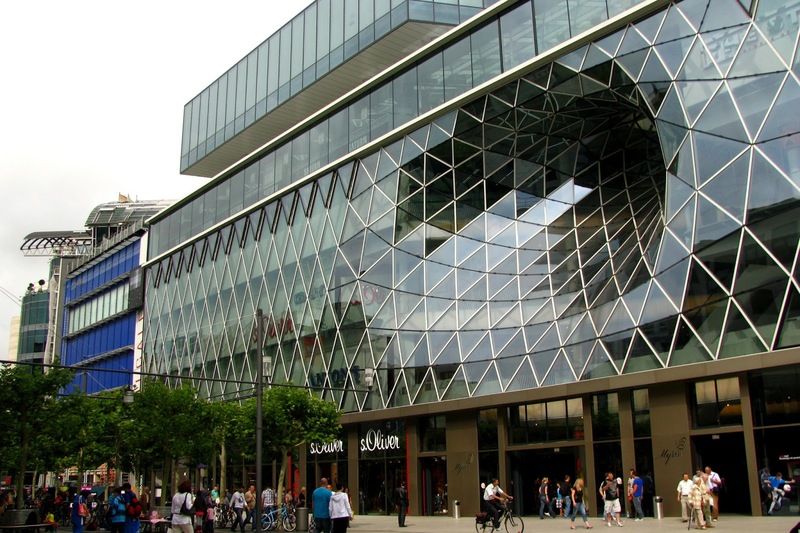 It is on every list of the must-go places in Frankfurt. It is the busiest and most popular shopping street in Frankfurt. It is one long road, people. 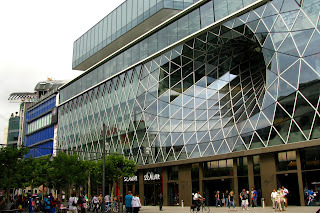 Kiri kanan dipenuhi shopping complexes. 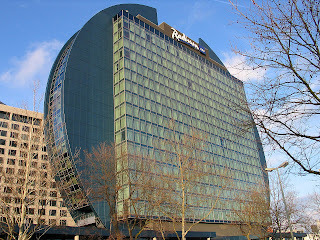 And I saw this hotel. Freaking awesome! In Frankfurt, there's this one street that is dedicated to Halal restaurant and market. 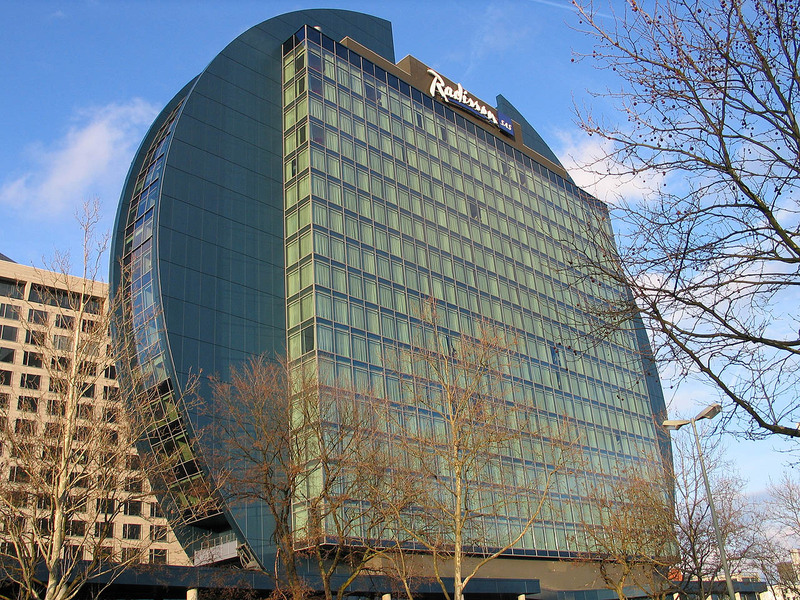 It is just opposite of the Frankfurt Main Station. Mudah weyh! And my favourite so far is Alim Market. I bought all the meat here since I haven't found any halal butcher in Mainz yet. I had this. It's massive!! The drumstick is 10 inches long. Yes. I measured. I love Frankfurt so far. I definitely see myself coming here again in the future.